The story of the First World War told from a unique new aerial perspective, featuring archive footage filmed from an airship and newly developed photographs taken by pilots. 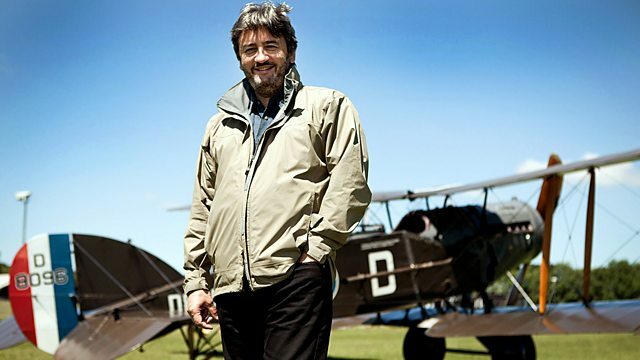 Fergal Keane tells the story of the World War One from a unique new aerial perspective. Featuring two remarkable historical finds, including a piece of archive footage filmed from an airship in summer 1919, capturing the trenches and battlefields in a way that has rarely been seen before. It also features aerial photographs taken by First World War pilots - developed for the first time in over 90 years - that show not only the devastation inflicted during the fighting, but also quirks and human stories visible only from above.